A strong, resilient health system is the key to achieving sustainable improvements in health and health care in any country. A health system is made up of many layers of institutions and individuals that, together, contribute to the availability, quality and affordability of all health interventions, from disease control and prevention to maternal and child health. Since 2006, IMA has built and supported integrated, holistic and sustainable health systems that increase access to quality health care in developing countries. This involves working directly with national and local government entities and other key players to provide technical assistance and capacity building support to strengthen engagement, capability and investment at all levels of the health system. 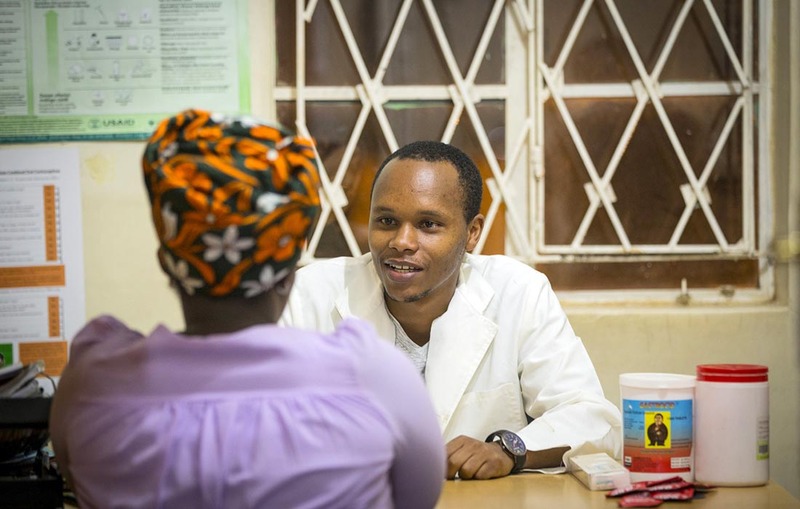 IMA programs adopt and address the World Health Organization’s recommended six building blocks of health systems strengthening: improved health service delivery, health workforce development, information systems, access to essential medicines, health system financing, and leadership and governance. IMA’s work underscores the importance of strengthening the capacity of both public and faith-based sectors in these six areas. Faith-based health facilities are estimated to provide 50 percent of all health care in developing countries, particularly in remote and rural areas of sub-Saharan Africa. Given their critical role, IMA develops the capacity of faith-based networks to improve the quality and performance of these health facilities through close collaboration and training. USAID/Kenya and East Africa Afya Jijini: Through this contract with the United States Agency for International Development, IMA works to improve Nairobi City County’s institutional and management capacity to deliver health services. Using a health systems strengthening approach, Afya’s key objectives are to increase access to and use of quality HIV services and to improve access to and use of maternal, neonatal and child health services; family planning and reproductive health services; water, sanitation and hygiene; and nutrition services. Access to Primary Health Care (ASSP): In the Democratic Republic of Congo, IMA supports DRC’s National Health Development Plan by providing a full range of health systems strengthening planning, training, and mentoring support across the six WHO pillars. With funding from the UK’s Department for International Development, ASSP improves access to and coverage of primary health care services for 8 million people living within 52 health zones in five of the country’s 11 provinces, prioritizing interventions such as the treatment of malaria, pneumonia and diarrhea; nutrition; obstetric and neonatal care; family planning; immunization; and water, hygiene and sanitation interventions. Rapid Results Health Project: Contracted by South Sudan’s Ministry of Health with funding from the World Bank to lead the Rapid Results Health Project (RRHP) since 2013, IMA uses performance-based contracting, training, and other activities to improve health care services at 282 health facilities.